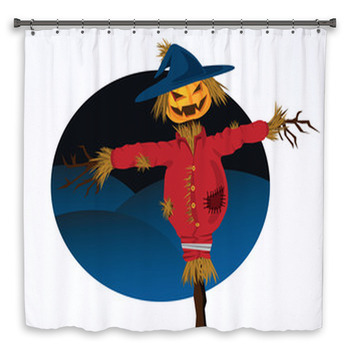 Create the spooky fun feeling of your favorite holiday any time of year with our ghoulish Halloween shower curtains and bathroom decor. 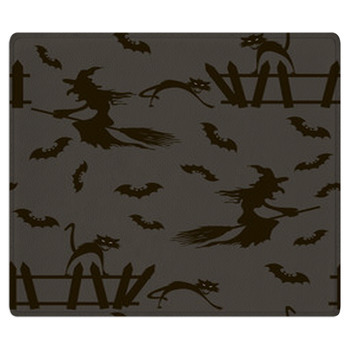 Entertain your family and guests with trick-or-treat decorations in every room of your home by using our festive bath mats, hand and bath towels and fully designed bathroom walls. 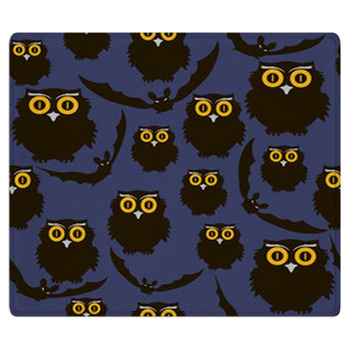 Halloween is the one time of year we get to indulge in our love for horror, scary stories and all the things that go bump in the night. 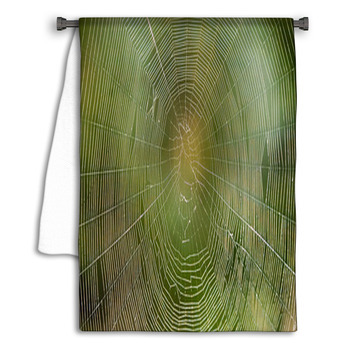 You might love the holiday so much you keep your terrifying decorations up all year. 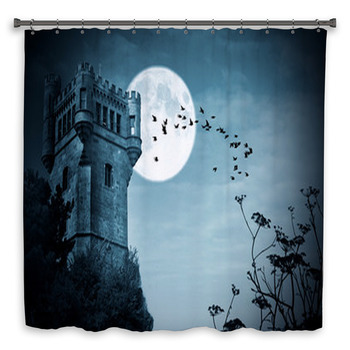 Turn your entire home into a mysterious haunted house with our shower curtains and bath mat showing a creepy Transylvanian manor silhouetted darkly by a slivery moon. 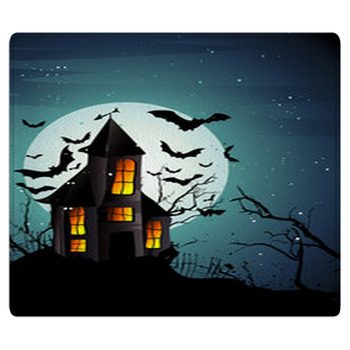 Long dead branches and the shadows of bats reach out toward its old wooden walls making it look like the home of The Adams Family. 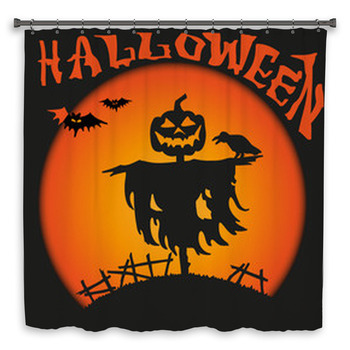 A skeleton will spook you with its smiling pumpkin head as it walks out from the darkness. 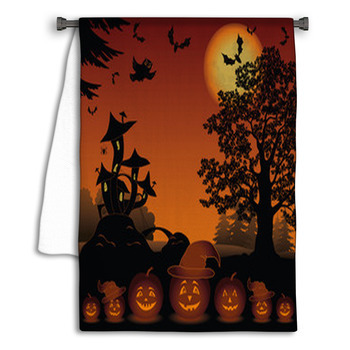 These Halloween bath and hand towels are covered with the classic colors of orange and black and can even show cute Halloween images like a cuddly black cat sitting on top a Jack-O-Lantern. 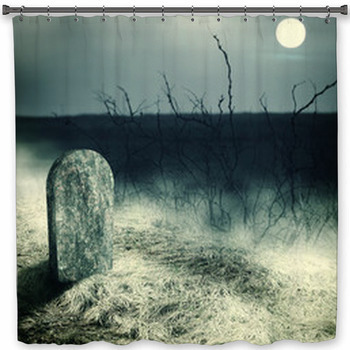 Make sure you're prepared for you and your children's favorite ghastly holiday. 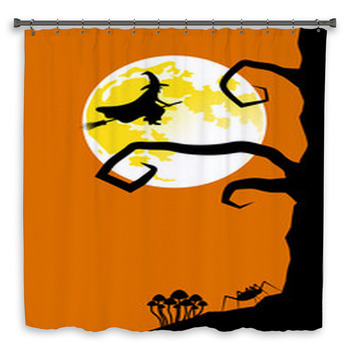 These bathroom decor items are easily used year after year and can be personalized with your own custom text saying a perfect Halloween quote or a special message for your young children or teenagers. 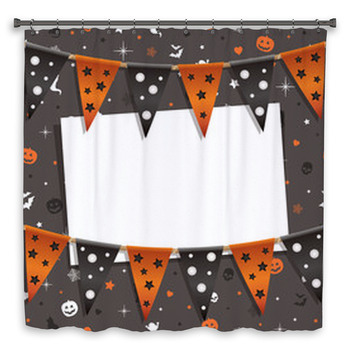 Use our complete line of matching Halloween products like our Halloween bedding, Halloween wall murals and wall art, and Halloween fabric to make your own holiday furnishings. 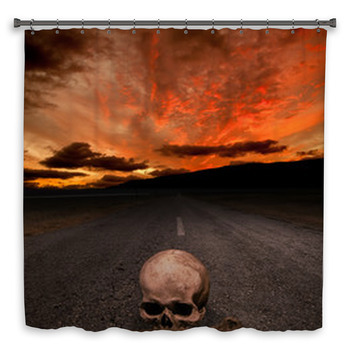 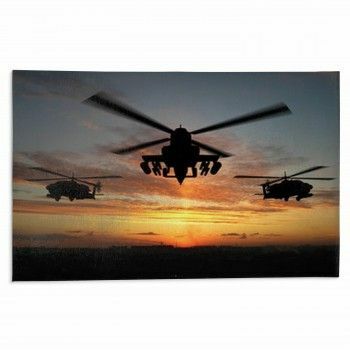 Even if its nowhere near the end of October, if you're a fan of scary movies you will love the horrifying images on our unique Halloween shower curtains and bathroom decor.